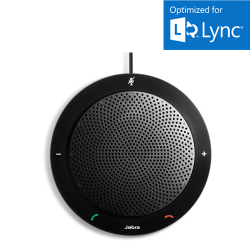 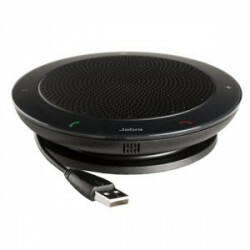 The Jabra Speak 410 MS is a desktop USB speakerphone that is designed for one-to-one or small group conference calls and has been optimized for use with Microsoft Lync. 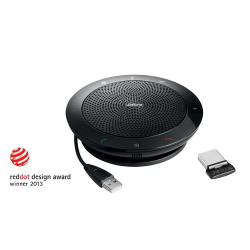 Small and compact enough to store in a laptop bag in its included travel case. 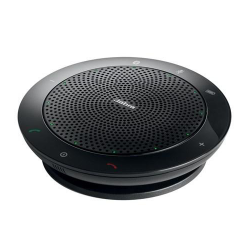 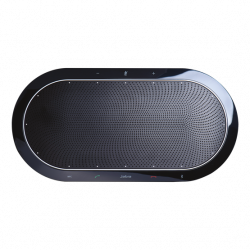 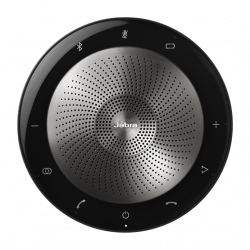 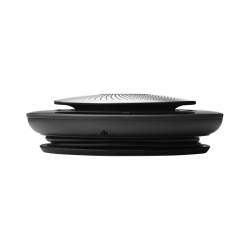 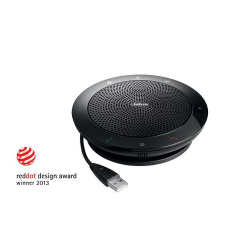 The Jabra Speak 410 is a desktop USB speakerphone that is designed for one-to-one or small group conference calls and has been optimized for use with Unified Communications solutions and VoIP clients. 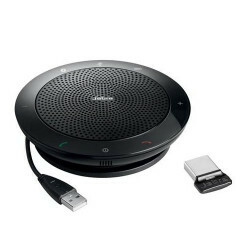 Small and compact enough to store in a laptop bag in its included travel case.